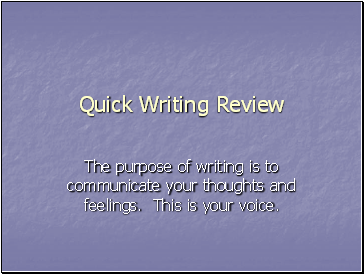 The purpose of writing is to communicate your thoughts and feelings. This is your voice. 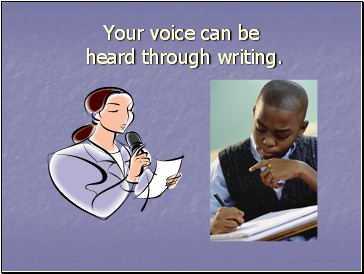 Your voice can be heard through writing. 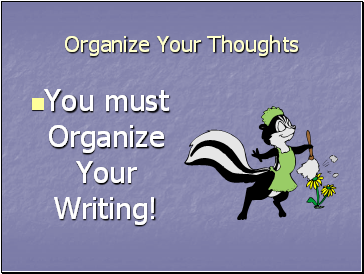 You must Organize Your Writing! The first paragraph should introduce the subject. 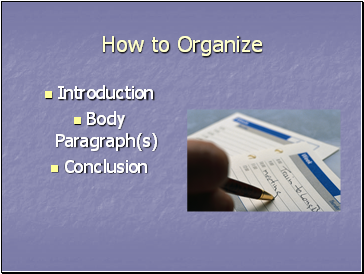 The first sentence of the introductory paragraph should start with a general statement. 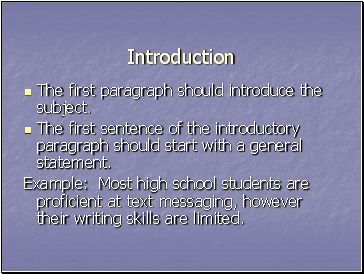 Example: Most high school students are proficient at text messaging, however their writing skills are limited. 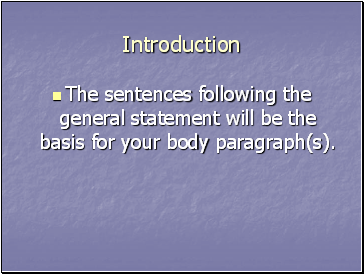 The sentences following the general statement will be the basis for your body paragraph(s). 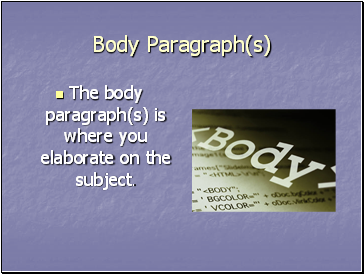 The body paragraph(s) is where you elaborate on the subject. 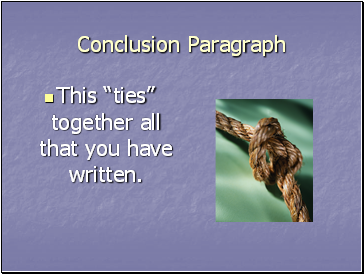 This “ties” together all that you have written. 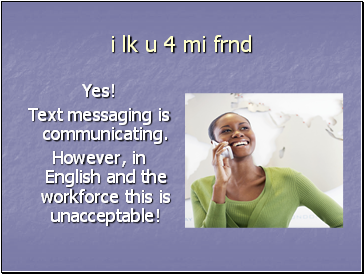 However, in English and the workforce this is unacceptable! 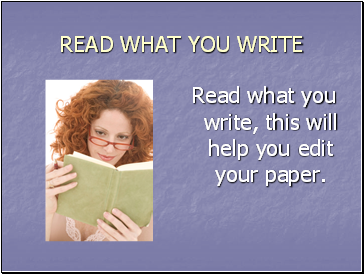 Read what you write, this will help you edit your paper.